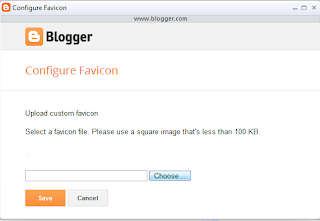 Favicon is 10*10 image which is appear before your blog or website name. This Facility is also give by Blogger. you ca just easily chage your favicon. you can see i above image. arrow shows our blog Favicon. 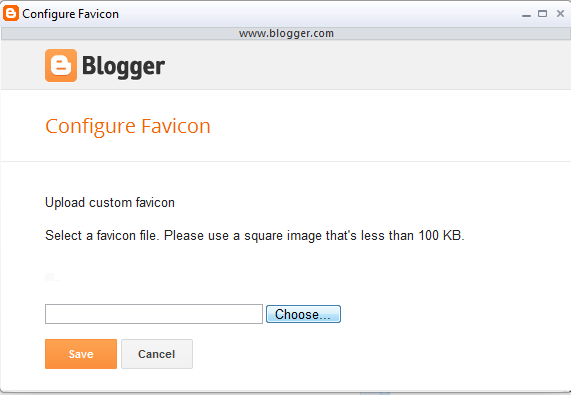 Before Start you have to create your favicon which is only 10*10 image with size less than 100 Kb. >>> Login in to your Blogger account. >>> Select your blog from List. >>> Now just Click on Layout from left side. 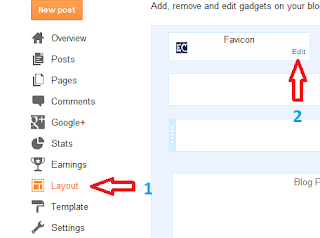 then click on Edit on Favicon Gadget. 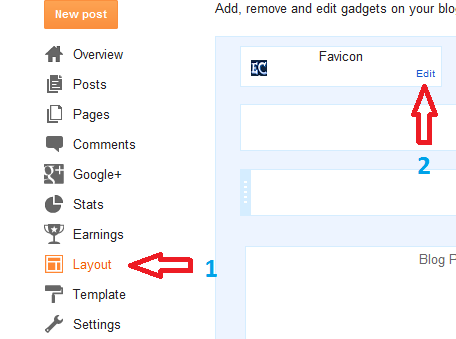 >>> Then you will see one "configure Favicon" window. >>> Just Choose your Image file and then click on "Save" and Save your Arrangement.